Paid member of Digital Nova Scotia, or student member. When your organization's reputation is damaged, so is the value of your brand. Your clients, partners, investors and stakeholders no longer see you the same way - their trust in you erodes. Sometimes, an organization never fully recovers from the damage. 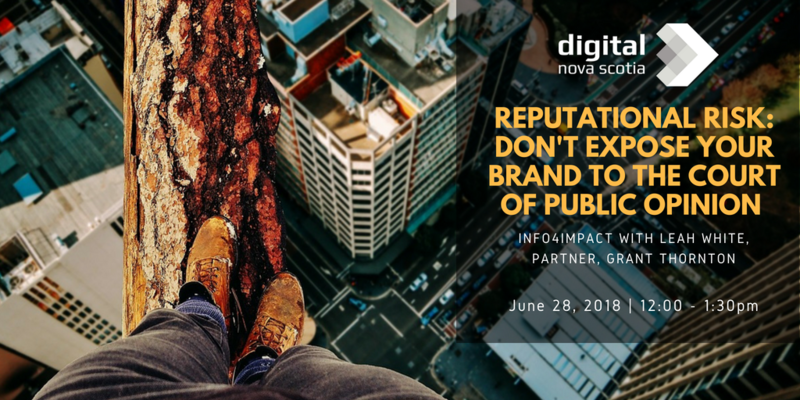 The relentless speed of communication fueled by social media and digital news means that your organization could be under widespread public scrutiny before you even know there's a problem. Why is it important and why is it so hard to deal with? What needs to work well within your organization in order to reduce your risk? What should be done before a crisis occurs? How should you prepare for an issue before it happens? If you want to understand and manage your reputational risk, this lunch and learn is for you. 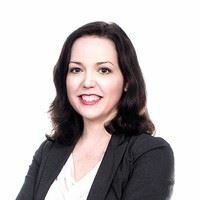 Leah White, CPA, CA, CIA, CISA, CRMA, PCI QSA, is the Partner responsible for Grant Thornton LLP’s Operational Advisory Services within the Atlantic region, and resides in Halifax, Nova Scotia. She facilitates enterprise and business-level risk assessments, evaluates fraud prevention and detection programs and controls, and has extensive experience in conducting risk, control, and IT advisory services for a wide variety of organizations in both the private and public sectors. A frequent presenter on risk-related topics, Leah helps organizations identify “what keeps them up at night”, and cybersecurity is definitely disrupting the sleep of Boards and management alike, ranking #3 in a recent survey of Board members and senior executives.